It is not always easy to know what food to order at restaurants. But a new company in New York is hoping to help. The company offers menu items in augmented reality. The technology places computer-generated images into the user's view of the real world. At Vino Levantino wine bar in New York City, the desserts are tasty but many visitors may have never heard of them. "We have a few desserts that are not usual ... or people (are) not familiar with them. Like we have the kadaif, I mean, not everyone knows what's kadaif." Instead of explaining the traditional Middle Eastern sweet to restaurant visitors, owner Haim Amit shows them. The Kabaq augmented reality application displays models of the desserts in 3-D on an iPad. Customers at each table use an iPad to explore the desserts. Alper Guler is the founder of Kabaq. "Humans are visual creatures, and we are creating really realistic 3-D food models." The technology company is helping diners decide what to eat and making traditional menus more modern. Guler and his team visit restaurants to capture 3-D images of dishes. They place dishes on a turning table inside a photo box and the camera scans the dishes from all sides. "We have special equipment that stands here, shooting a bunch of pictures at the same time. So, the turntable turns, our system takes all the pictures along the way. And we go back to our office and basically start processing all of these images." For their services, Kabaq charges $99-$199 per month. Amit says the technology is not only increasing profits at his restaurant but offering customers a special experience. "It's not just the sale, the sales grow like about 22 percent overall on average, but the experience with customers is different – they don't expect it and they really like it." Amit says he has noticed how excited his customers are about it. "They're surprised that we come with something digital, it's almost like a toy," Amit said. "It's so funny; it's like you have the whole plate in front of you. It's amazing." Mike Cadoux is Kabaq's head of sales and partnerships. He said that seeing the different foods can greatly influence a customer. "If I was going to get the $17 pasta, but I see the $28 steak and it looks amazing, (and) I go for the $28 steak," he said. "That's a huge value to so many restaurants up and down the street." 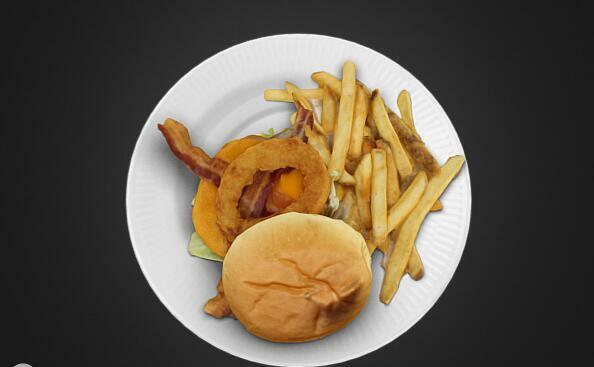 3-D scanning technology is becoming a good option for people excited about food, often called foodies. Artist Romain Rouffet used 3-D scanning to create a 3-D recipe for banoffee pie. Users can change the view sizes on all sides. The resulting video may signal the kinds of augmented reality developments soon to come. The man was found guilty of causing criminal damage in aright in a wine bar. Laser scanning technology is a recent development of data collection hot spot. We don't want to look like a bunch of cowboys. We are very familiar with each other. 5. "If I was going to get the $17 pasta, but I see the $28 steak and it looks amazing, (and) I go for the $28 steak," he said. People tried to persuade him to go for a more gradual reform programme. Even if it should rain tomorrow, they will go for an outing. 6. "It's not just the sale, the sales grow like about 22 percent overall on average, but the experience with customers is different – they don't expect it and they really like it." American shares rose, on average, by 38%. On average each report requires 1,000 hours to prepare.